Memoir has its particular challenges, especially if the folks you have written about are still alive. I’ve been thinking about this a lot recently, on the eve of Eating Wildly’s release. My writing students are always asking me about the pitfalls of writing about people you know, and at least once a semester I go over something that sounds like “Mistakes I’ve Made in Memoir Writing,” which include having people I love getting mad at me and my scrambling attempts to smooth things over. So while this post is a #WeekendGratitude post, it’s also a lessons learned the hard way post, and I hope that my mistakes can be helpful to you. At the bottom, you’ll learn my #1 Piece of Advice for Memoir Writers. In Eating Wildly, I write about being raised by a single mother and loving grandparents, the absence of my father, breaking up with Robert, the man I’d hoped to marry, and immersing myself in foraging (there’s more, of course, including eventually meeting my husband, but we’ll save that for later). Without giving too much away, the two people whom I was most concerned with were my mother and ex-boyfriend. Now, I’ve been publishing personal essays since my college students were, um, probably toddlers, and I’m going to tell you about what I’ll call “One of the Biggest Mistakes I’ve Made as a Memoir Writer.” In my early days as a young reporter, I wrote for the Village Voice, covering art, music, and culture. I was also a touring slam poet. One summer, I wrote up a short essay about a friend of mine who I’ll call “N.” and our inner city public high school years, which I filed while I was performing in Prague and Berlin. This was pre-Internet days, and phone calls from Europe to NY were expensive, and I remember thinking that I should call N. when I returned home, which I was pretty sure would be before the article got published. It turned out that I was wrong. The story came out shortly before I arrived, and I returned home to discover the following message from N. on my answering machine. “I have beef with you,” she said tersely. I called N. right away. She admitted that she wasn’t mad about what I had written, so much as the fact that I’d written about her without mentioning it, and that other people had found it and told her about it. I could only imagine what that felt like and apologized profusely, many times over. (Actually, it was her sister who was most incensed and probably still hasn’t forgiven me to this day). I think about that every time I write about someone I love, and right before the piece is about to be published. I should back up a moment and say that the main thing when you write memoir is that you want to write with humanity and compassion. The page is unforgiving and if you’re writing from a place of vitriole and anger, it’s going to show through. Hemingway is one of my favorite writers, but you can see that the writing in “A Moveable Feast” (one of my favorite books) is much more flawed towards the last half of the book, when he becomes angry, blaming, womanizing, drunken Hem. I won’t even go into his sorry characterizations of poor Fitzgerald. If you can find a way to write that’s true to your own experience and can at least attempt to write with compassion about the others in your life, that’s half the battle. The other half is manning up (womaning up?) and figuring out how to tell them. While conversations can be made over the phone, or via email if under duress (although even if you’re out of the country, most folks these days have access to Skype or FaceTime), if it’s someone really important, like a family member, a friend, or an ex, you should probably do it in person and in advance of publication. Having learned this lesson, I sat my mother down last winter to discuss the book with her, not long after I’d turned in the last draft of the manuscript to my editor. My mother is the only person (along with my husband and now, our kid) that I’ll grant the opportunity to change my writing if she’s offended, and there was ample time to make edits if she wanted. As the woman who gave me life, that’s the very least that she deserves. I went over point by point every part that she appears in the book, and where I thought she might be even the least bit offended. I offered to let her read it. To her credit, this just sparked reminiscing over our family life and the tough times she’s been through, and she opted to read it once it came out. Well, I’d been dragging my feet over this one. After I broke up with him, Robert (whose name isn’t really Robert, I just gave him the courtesy of changing his name) got married to a woman who might as well be my doppelganger in nearly every way including age, ethnicity, occupation—even living in my old neighborhood and being members of the same long-running food coop. They now live in a near-mansion with their son and a live-in au pair. While I’m happy for him and can give him the occasional “like” on FaceBook, I just didn’t need to see him if you know what I mean. It was down to the wire and with Eating Wildly coming out next week, I finally met Robert a few days ago at a local cafe. After a few catching up niceties, I basically just flat-out told him that he appeared in the book, mainly as the reason for why I started foraging in earnest as an adult, and the moments where as a woman with abandonment issues, these issues got triggered when we were together, especially at a certain dance. “But didn’t I dance the first dance with you?” he asked. “Yes…” I hesitated, thinking it would sound impolite and certainly impolite now, when the dance was a million years ago, to bring up the fact that he left me on my own at a party to dance with other women. Luckily, he didn’t seem upset about being written about, especially when he learned that I’d omitted identifying details, and he had forgotten that we’d had a conversation like this after I’d written about him for an early essay that was the seed of the idea for Eating Wildly. Mostly he seemed to want to impress upon me that he’d been really supportive when we’d been together. “You mean about work?” I asked. “About work and other parts of your life,” he said. “You were going through a really hard time.” Mostly, I remembered that he had a kind of Sheryl-Sandberg-Lean-In-attitude when giving advice, and tried to change the subject. I was flabbergasted. I’d been with Robert a year and had dreamed of marrying him. He’d met my family on numerous occasions. He didn’t know what languages I spoke? “Um, my family is Cantonese,” I said. After that conversation, I left the cafe feeling lighter, happier. If I hadn’t gone through that break-up, I never would have found myself immersed in nature and learning how to forage for my own food, a valuable skill I now teach to my daughter. And, I learned that my younger, pre-foraging self had been right about that relationship all along. What I’m most grateful for this week is not only the wonderful things that have been happening with Eating Wildly—including interviews with local media, NPR, and this amazing food think tank adding it to their Summer Reading List—but also, the difficult work that needs to be done when writing in this rewarding, yet at times thorny genre. Taking the high road by doing all the work necessary to be compassionate towards others, both in writing as well as in life, is not only the right thing to do, it also provides hidden lessons once you’re ready to learn them. #3 Try to write about your subjects as compassionately and humanely as possible. The page is revealing of all character’s flaws, including our own. #2 Write your manuscript before showing the work to anyone in your personal life. Only impartial parties, like a trusted editor or reader (or your workshop group), should be reading your work before it’s finished. Try to keep those thoughts of “What will ______ and _____ think?” at bay until the writing work is done. #1 Always inform your subjects that you’ve written about them, before the work gets published. Do this keeping in mind the kind of relationship you have and exactly how much leverage they have over your work. Mothers have all sorts of rights that others just haven’t earned, as far as I’m concerned. Partners, spouses, and children too. Btw, last night, my mother texted me that she had received her copies and was reading the book. I guess I’ll find out soon what she thinks. Great advice Ava especially about writing with compassion. I think that’s a good rule to follow in all areas of life. Feelings have a way of broadcasting themselves even when you think you’re doing a good job of keeping them to yourself. At least that’s what I’ve found. Looking forward to reading your book. It sounds great. You’re absolutely right, Suzanne—it IS a good rule of thumb for all areas of our lives. Plus, I think through compassion we grow wiser about others as well as ourselves. And more in touch with our own humanity. My first novel, PORRIDGE & CUCU, was first conceived as a ‘memoir-novel’ years ago. I had maintained the real names, including my own. My mom, the first person to read the manuscript, advised me to change the names of the characters. And I did. She was, to this day, my toughest yet most supportive critic. I can still remember telling her about the book. I stood in the kitchen;she sat at the kitchen table. Once she’d agreed to read it, I’d expected a quick confirmation of the book as The Great American YA Novel, or something like that. Instead, she emerged from her room with several pages’ worth of notes. Things like grammar, punctuation. Like an editor! And she wanted a semblance of privacy (hence the pseudonyms). A few scenes she objected to. My reaction was to vigorously disagree. I balked at making the changes. I saw it as a freedom-of-speech/the-press issue. I was undaunted. Stubborn. Determined to stand my ground. Days later, I perused the notes and went over the manuscript carefully. Sheepishly, I determined that she was right. So I made the changes and never regretted it. 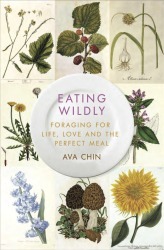 BTW, I love food memoirs, and will definitely check out EATING WILDLY! Thanks so much for sharing your story Yolanda. Your mother sounds like an amazing woman—and editor—and kudos to you too for absorbing her advice and ultimately making the changes which you knew in your heart were right. It takes two to tango and your mother and you sound like an amazing team! (Btw, my apologies for the lateness in this reply; I didn’t see your comment until last night!). 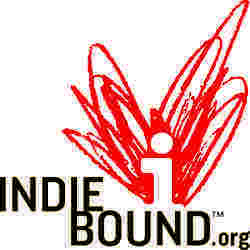 I hope you are still writing memoir-ish novels?